Colorful Orange, Green, Brown, Red and Navy Enamel. 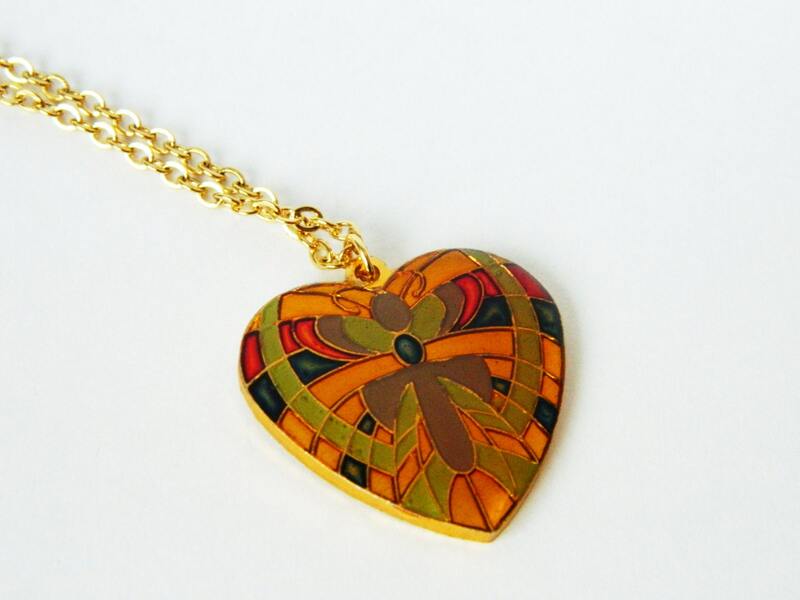 Pendant Material: Brass, Enamel with Resin. Chain: New Gold Plated Cable Chain. 24” chain length with lobster claw closure.